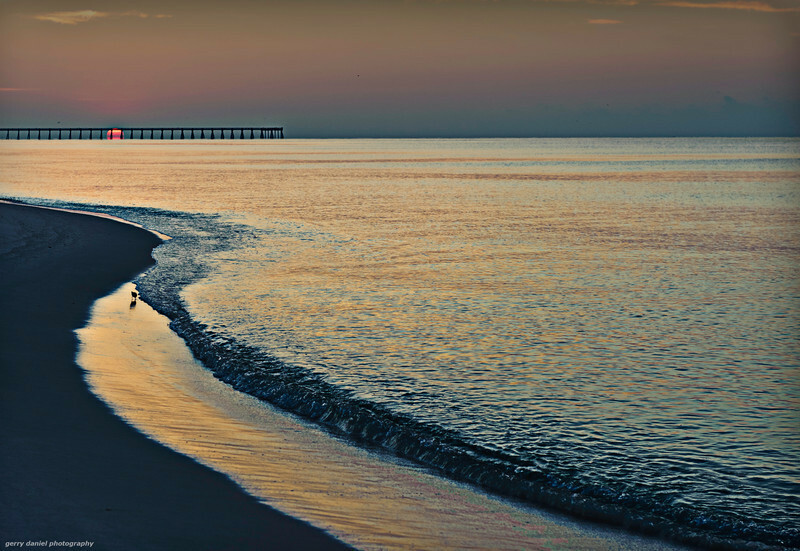 I can almost hear that water lapping at the shore -- incredible light you've captured here! Perfect timing, perfect place, and even a shore bird. Great shot, I love the s curve of the water.